Last week I was standing over a pile of plastic Coca-Cola bottles, on a remote beach in Mull on the west coast of Scotland.What awful littering, many people will say. Well, when you see this on beach after beach, as I have, you begin to wonder whether the problem isn’t really individuals, but the system itself and the choices that major drinks companies make. Almost half of the 600 billion plastic bottles manufactured globally each year are thrown away after a single use, with billions ending up in the environment. 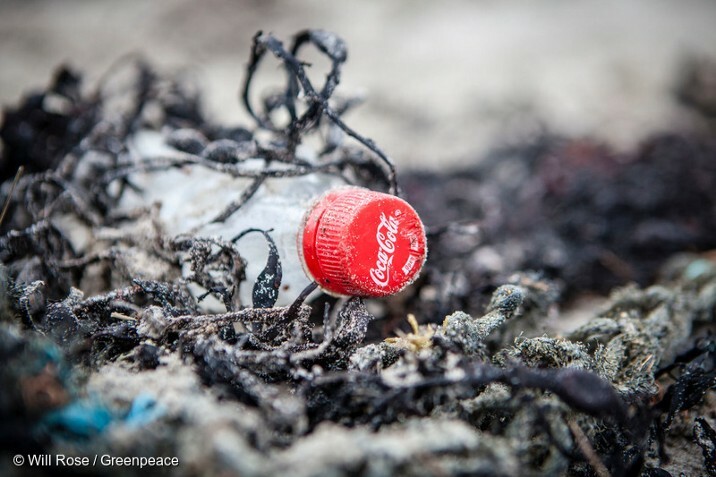 Since you’ve been reading this article, for example, Coca-Cola has produced another 50,000 single-use plastic bottles. Get yourself a reusable bottle and use only it for your drinks. We all should give up coca-cola anyway because sugar is a killer and that’s the main ingredient. Plus – there is absolutely nothing of nutritional value in Coke or any other sodas!